My weight loss journey has hit many plateaus, but not surprisingly, I’ve always seen the biggest improvements when I’ve eaten a really “clean” diet. For me, that means finding something high protein that I can eat for breakfast, lunch, and dinner for about five days straight, then switch to something else. And when I’m eating really healthy, I’m also more likely to workout. Conversely, if I’m in a “bad” eating rut, I’m not likely to be hitting the gym. I’m no dietician or nutritionist and only know what has worked for me. Some of you read my story about losing the baby-weight and asked for more info on my diet, so here goes. AND, I love this Eat-Clean Cookbook . First, I’ll let you know that my goal was to build muscle and get lean, with Jamie Eason as one of my inspirational goals. I like her shape, although she is a fitness model who is way leaner and more muscular than I’d like to be. She is about my height though, 5’2 (I’m a shorty at 5’1). To obtain the kind of shape she is in, you have to eat a super-strict diet, and I’ve never been that disciplined. I still eat Mexican food, ice cream, iced mochas from Starbucks, and drink wine (but all in moderation of course). Although I don’t really count calories, Jamie provides a formula for you to use if you are trying to lose weight. Here’s what I typically do. I try to eat approximately 100 grams of protein per day, broken into about 5 small meals. I love my Starbuck’s iced mochas in the afternoon, but will get an iced tea instead if I’m trying to watch my calories. I usually work out in the evening, so when I get home and am hungry, I’ll have bacon and eggs. Sometimes, for breakfast, I’ll eat oatmeal with skim milk, raisins, cinnamon, and sliced almonds, then drink the protein shake later in the day. For me, the easiest thing to do is find a few healthy meals I know I like and eat them over and over. Boring for sure, but since getting high-protein meals in is key, it works best for me. I might eat one of the meals for a week, then switch to something else. Of course, I “splurge” on cheeseburgers or nachos or something every so often too. I make the rice in a saucepan while I brown the turkey meat. Then I add the seasoning and black beans to the meat. Combine the cooked rice into the meat and top with low fat sour cream, low fat cheese, salsa, and sometimes I crunch up a couple of tortilla chips on top. (James actually loves this too). I cook a package of chicken tenders and portion them out for 2 tenders per salad. I usually mix a couple tablespoons of the peanut sauce with a tiny bit of lowfat peanut butter because the sauce is kinda spicy and I want to mellow it out. 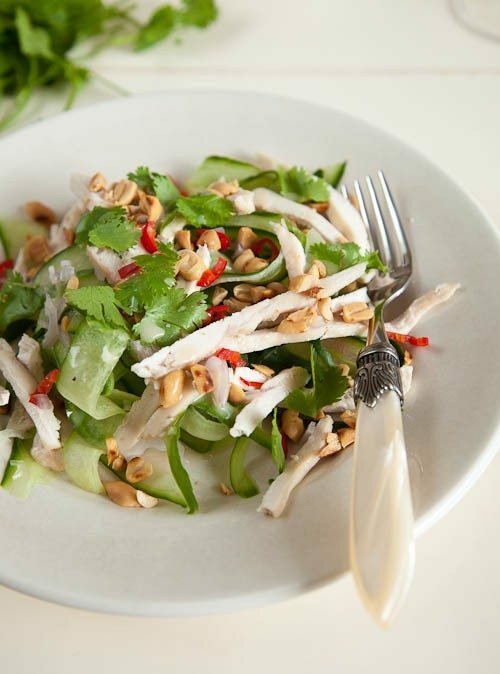 I add a squeeze of lime and toss in the salad and chicken, topping with some sliced almonds for crunch. (I make several batches of the seasoning mix at once since I have all the ingredients out). I also usually eat them with a side of frozen steamed veggies. I hope this helps! I’m always curious how long it took other women to lose their “baby” weight too, I think it helps knowing that for many of us, it takes a loooong time! UPDATE: I’m 40 and having a baby! Get caught up on my second pregnancy here. Previous Post Ready for Fall? Wow you looks amazing! I have been yearning to be inspired by something as I hit a rut with my eating & working out. I have been lacking motivation and I'm starting to notice its consequences (I'm up 8lbs) so reading your story has def motivated me!! Thanks for sharing! Love this post! Thanks so much for sharing your story and the recipes. Thank you so much for sharing. I really enjoy your blog. I am struggling to lose my "baby weight" and your post really helps! Reader in Birmingham, AL. Thanks for sharing! I am not due until January, but this will get me off to a great start. This post couldn't have come at a better time. 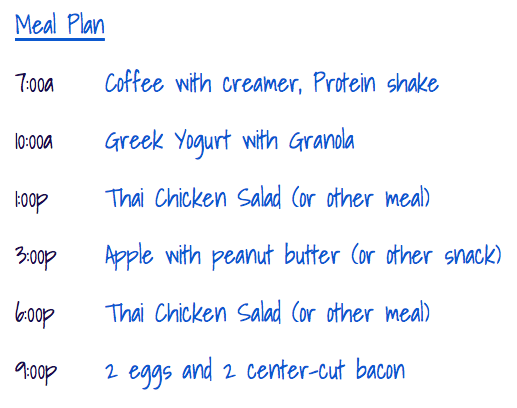 I am doing the 17 Day Diet and I was struggling to come up with some tastey, high protein, meals to incorporate into my meal plan. Thanks so much for the recipes! Congrats on your success, also, it's not an easy thing to do. You look amazing Megan! Good for you for keeping up with it. I do have a question though, for you and those who work out/eat differently with families…do you prepare separate meals for all 3 of you? I can see it would be easier with a little one as they eat differently anyhow, but we sit down as a family for our meals (at least dinner and hubby works from home some, so sometimes lunch too) and I don't see my husband being too interested in what he calls "rabbit food" (he grew up on meat and potatoes). Also, Kate needs waaay more calories than I or her dad as she is an athlete, still growing and working out EVERYDAY. She is a super healtly eater, but we do find we have to supplement her meals as she burns what she eats super fast. I think this has been the biggest struggle for me…I give up what "I" want/need because it doesn't work for all of us. Hi Megan! As another clean eater and 6x a week exerciser, I just learned I am insulin resistant and that is why, no matter what, I could shed body fat. (still trying to lose baby weight 5 years later). Once I started to greatly reduce carbs that have a high glycemic index, I am starting to shed some body fat. Not that this pertains to YOU since you look fab, but just in case your other readers are experiencing this too!! I suffer from that as well. Work out intensely five to seven days a week count my calories in my fitness pal and still pay for a few cheat moments. I understand how frustrating and lonely it can be going through that struggle. Just wanted you to know you're not alone always good I hear from someone else!!!! We have completely cut out all grains and processed sugars and food as a family. Following a Paleo style diet…or lifestyle as we will not go back to how we were living. I have shed the last 15 pounds I have been fighting for years and my husband has lost 50lbs, with very little working out. I must say that this has been easier because we do this as a family. If one of us wasn't on board it would be very difficult. I have a 12 year old girl and a 3 year old boy. We all feel great, have better moods, more energy and clearer brains. Wow you look great! The baby weight just came off for me, but I'd like to get toned better this time around especially my stomach. You look wonderful! I work out on a daily basis but struggle with my weight. The diet and nutrition information will help me towards my ultimate goal. Thank you! Thanks for sharing these meal ideas! and you look amazing! Hotty with a body!!! You look amazing! I am so impressed! You have lots to be proud of, and I love that you do what works for you best 🙂 I'm the same way! Megan, you look fantastic! Way to go at accomplishing your goals! Thanks for the sharing your meal ideas. They sound tasty!! I have just a few pounds I'm trying to lose to get back to my slightly smaller clothes. I'm definitely filing these recipes away – that chicken salad looks so good! You look fab!! Keep up the good work! You go girl! I thought you looked amazing at Blissdom but WOW-o-WOW those abs!! Proud of you! You look awesome!! Any insight on your exercise routine? Megan you look amazing!! Thanks for sharing the recipes. Your abs are making me sad about mine:( But seriously great tips!! Amazing how you can bounce back after a baby! You look fantastic. Maybe I will just take your picture Photoshop my head onto it. 😉 Thank you so much for sharing the meal ideas!! This is something I've been thinking about a lot lately. I never did lose the baby weight, and then I added some. It's time to start making smarter choices. I'm doing a week of "Family Friendly Food" next week on my blog with a link-up, and I'm hoping that bloggers will share meal tips like this for those of us who are interested in making healthier choices. Thanks for taking the time to type your recipes up! These recipes look awesome, Megan! Do you have any special places you get recipes? I workout but tend to struggle with my diet. Recipes tend to be my downfall as well as time to prepare (I have a 6 year old son and work full time). I can't wait to try your recipes next week. Also how do you make your protein shake? I can't seem to find a protein powder (what do you use?) that I like and struggle with how to mix it (trainer says water and I can't seem to choke that down). Thanks! I am always looking for good lunch options – Icant wait to try that salad! There's no question you look fabulous!!! So what you're doing is working for you. I wish my meals were a little more well-rounded, but on the days I watch what I eat, it's pretty boring. But whatever allows me to eat Mexican food on the weekend is worth it! Nice! Love this post! YOU ARE MY INSPIRATION for sure. I'll be trying the meatballs and taco recipes! Thanks for sharing, keep it coming…workout outs??? Thanks for sharing your recipes! you're an inspiration. By the way, what kind of protein shake do you drink? Thanks for sharing your story. I just had baby number 2 (4 weeks ago) and am really struggling with my body image. I lost 20ish lbs after my first baby with WW, and I was at my all time skinniest. I had wishful thinking that this time it would be much easier, but it's not…I have 24 lbs to lose to get back to my pre-pregnancy weight. I really am skeptical if I can get my shape back…I was never built, or ripped, but I definitely had flat tummy at the end. This time, I really want to get more toned…can you talk about your exercise? Seeing your abs is giving me hope that I can get my flat stomach back-how do you do it?!? First off Congratulations!!! You look amazing! I had some questions for ya though. How would you bring these principles into your second pregnancy? Do you think you will be more strict this time? I am pregnant with my second….and man is it different….and exhausting. Since working out as much as I did with my first is at the bottom of the list..eating clean may be easier. What does your husband eat? Does he just go along with the same as you or something different? SO MANY QUESTIONS!!! I think I'm going to use your pic as my motivation!! You really look great. I do a lot of the same things you do. I can eat the same thing over & over too which works out well for me. I'm about 5 lbs. from my goal weight & even though I'm working out I still have a lot of toning up that I want to do. Thanks for the great post. SO funny that you brought up Jamie Eason. Love her too. I just started a 12 week Lean and Fit challenge that she is hosting on bodybuilding.com. It covers everything from your weekly workouts, menu, supplements (vits). It's awesome because I never know what to do in the gym. She covers it for you. You should check it out. She is so knowledgable. My word you look AMAZING!Shoot girl you are one hot mama! DIets can be so intense to stick to so congrats on a job well done! So proud of you. Great post hot mama. You look fab! I'd kill for those abs 😉 Thanks for the recipes – I'm always looking for healthy recipes that actually have some flavor! You look great! I too am only 5'1" and every pound makes a difference when you are short! I workout 5-6 days/week and train for marathons, but couldn't lose the weight after baby 3…even when running 50+ miles/week. I changed my diet and it made all the difference. I am eating lots more protein and adding vegetables whenever I can and really keeping carbs and refined sugar to a minimum. Small meals every few hours are good too. I have also noticed a huge energy boost. I'm so excited to try your recipes! Thanks for sharing. Now, if only I could get your abs! You look awesome in that pic. I'm pretty healthy, but my diet can always use a little help. you look amazing! thanks for sharing this. i really like that you included the recipes too, some new ones to try! Great post Megan and congratulations! I too was looking for something to rid the baby weight and took on the 17 day diet. It’s 4 cycles of 17 days. I did it back in May and only did the first 17 day cycle, followed it religiously and lost just shy of 15 pounds. Months later – I loosely follow the guidelines and the weight is still off. Turkey meatballs are a weekly meal in our house – my two boys love them just as I do. My other favourite is taco salad made with turkey or chicken. Thanks for sharing more recipes! Awesome post! Thanks a million…I'm starting this tomorrow. Please keep these coming and thanks for introducing me to Jamie. You look FABULOUS by the way. ~M. Thanks for the great meal ideas. We are always looking for some healthier options here! I started Insanity three weeks ago and these protein packed meals will be great. I'm pretty sure I'm not getting enough of it. Just found your blog and was thrilled to see my fitness inspiration Jamie Eason! I'm nowhere near where I should be but I'm closer than I was last year. Thank you for sharing this! I tried the mexican casserole and the turkey meatloaf and LOVE both! It seems like we are ALL trying to eat better, cook more, feel better and I appreciate you sharing your story and methods. You look great. I'm SO glad you wrote this post! Great tips, ideas, etc. What kind of protein shake do you drink? I was in the same boat you were. Before my baby, I competed in my a few figure competitions and loved it. I'm about to do my first since being pregnant. Congratulations on the great progress! Good luck!! Keep us informed. You look AWESOME!!! Great job! I too love Jamie Eason…such an inspiration! I absolutely love your posts on nutrition and exercise! Your one of the only blogs I have ever found that posts on home decor and keeping yourself in shape! Love these types of posts, your so inspirational! Keep em coming!! Yay! Thanks so much for this post, it's so motivating to see what works for others, you look fabulous! Love your blog! Oh and how many meatballs do you eat in one sitting? You also said "a side of frozen veggies" but you didn't specify how much exactly? Sorry for so many questions. My issue is that I OVEReat so having a specific portion in mind is important to me. Thanks!! One ore question (sorry!) what other snacks do you recommend? I love this! Super healthy meals, and thank you for the trick to know an idea of how many calories to consume in a day. i love "clean" meals! super inspirational, love ALL of the advice. I just made the taco casserole and my boyfriend thanks you!! I skipped the rice (bc I don't love rice) and added some yellow peppers and onions. I also got this cheesy taco bell taco seasoning packet instead of the regular kind. It was so amazing, and my boyfriend said it's his favorite thing I've ever made!!! Thank you so much for this! I am always trying to sneak veggies into his diet and find things that are healthy enough for me and yummy enough for him! cute site! I also follow Jamie Eason and I use a tablespoon or so of sprouted chia seeds in the turkey meatballs…it makes them much more moist than without plus it's added fiber and healthy fats! Great blog!!! LOVE your designing! Can't wait to make some of these recipes and it's wonderful you're all over Pinterest! Where were you working out? Loved this. I just found you via Pinterest and you have motivated me. I don't need to lose any weight (I'm 5'04" 115#) but really need to tone up. 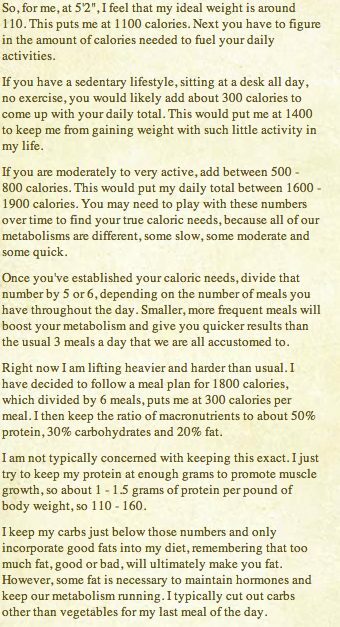 I know if I were to lift a little and eat more along the lines of your menu it would help. And to answer your question, I gained about 55 pounds when I was pregnant and lost it all in about two months. I'm not bragging, it was all hormonal and I had not control. Completely lost my appetite the second the little guy was born. Worked out to my benefit! First of all you look amazing, congrats!!! Saw this on pinterest and knew I had to start following you! Those are lovely meal ideas. As a new mother myself, great job on the weight loss!… but i'm not sure you can really say these recipes qualify as "clean eating" with the taco bell season and the peanut sauce (list of ingredients in peanut sauce: eanut butter (peanuts, dextrose, corn syrup, hydrogenated cottonseed and canola oil, salt), water, soy sauce, (water, wheat, soybeans, salt), vinegar, sugar, sesame seed oil, sherry wine, dried garlic, hydrolyzed wheat and soy protein, spice, salt, modified cornstarch, xanthan gum, sodium benzoate (preservative), disodium inosinate and disodium guanylate, natural flavors.) YIKES! …but maybe i'm misunderstanding your interpretation of clean eating. That is a great point! I figure the seasoning and peanut sauce are used sparingly enough to be okay?? I have to agree here. Impressive for sure how you've lost the weight and very motivating. I was surprised that only one person noticed this is not clean eating. Steps on the right direction, yes. But you're actually eating this so often that you're eating a fair amount of it. You can make your own peanut sauce (look up Palio recipe) super easy and eliminate all the junk in there. Congrats to you. I don't mean to jump on you but I did want to back what the previous poster said about this really not being that clean. Good luck to you and thank you for sharing. Just started reading you blog. Thanks for the recipes, I'm taking the Thai salad with a boiled egg and peach for my lunch today. (And I'm not concerned about the peanut sauce) 😉 Please post more food ideas! You look AMAZING! Thanks for the recipe Megan! I made these last night for tonight's dinner, but did manage to sneak one 🙂 they are very good! I made the taco turkey casserole, last night after having good success with your turkey meatball recipe the previous night. The taco turkey casserole was so good! very easy to make. I added water with the seasoning pack when mixing with the turkey. Then after combining all ingredients, I moved it to a small casserole dish, topped with a little cheese (I did a 3:1 mixture of fat free cheese and regular mexican blend shredded cheeses). And baked that until the cheese melted. Topped with lowfat sour cream and salsa like you suggested. Hubby had Lays baked tortilla scoops with his. I cant wait to try your 2 post salad recipes next, thanks again Megan! Thanks for sharing such healthy meals with little ingredients, my kind of meals!!! My son is 15 months old & I still have at least 50lbs to lose. Its so depressing that I don't even want to try. I do go to the gym as often as I can & I'm eating much better than I was before & during my pregnancy, but its going so slowly that its barely happening! Sasha, I'm so sorry and can feel your pain. I have learned that the eating is the key, but the workouts helped keep me motivated. I often felt like, "I didn't just work my *ss off at the gym, just to go home and eat ice cream, and that helped me eat better at home. Keep researching and finding healthy meals that you like and can eat day in and out- it will be boring, but if you can stick to it and see results, it'll keep you motivated and be worth it. Stick with it. It's a process, but you will get there. At first I thought you said your second picture was at 17 weeks!! I guess 17 months is a bit more realistic. Anyway, good job!! It's so hard to get back, but so worth it. Just made the Thai Chicken salad for dinner. Absolutely delicious. Never before would I have tried the Peanut sauce on my own but it was great. This is really helpful. My son is 6 months old and I am about at my pre-pregnancy weight, but there is a lot of toning I need to do! You look amazing! Inspirational post indeed! Can't wait to try the meatball recipe! Thanks for sharing! That taco looks tasty. I can't wait to taste it. I love this post. I have taught a lot of people to eat clean much like this and to get in shape. I love all the stuff you said. Is there a good way to contact you and talk more about your story? What a great transformation! I was stuck at 20 lbs heavier than pre-baby weight and couldn't figure why it didn't come off. I thought I was eating 'clean' – till a food sensitivity test showed I was sensitive to 34 different foods (especially some of my favorites that I ate constantly). Once I eliminated those foods (and cut down on sugar) the weight melted off. All those extra pounds were just inflammation! I do struggle with protein intake, though (no beef or peanuts for me) so I can't wait to try out some of your recipes! You look amazing. Keep up the good work. Thank you for these easy-to-prepare healthy meals. And you look really great! made the taco bake tonight! THE BOMB!!!! yumm! yumm!! thanks for sharing!! Hello just wanted to write and say thank you for putting this online! You are very inspiring to me for being such a good role model health wise. 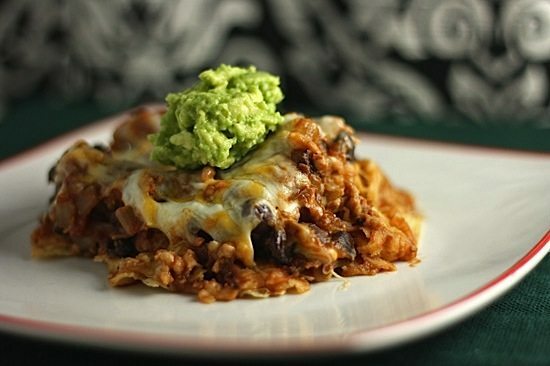 I made your Mexican Casserole with some moderation's and my family loved it. A recipe like this makes it hard to cheat! Thank you for sharing! It was also ver inexpensive for us to make! I love your blog and thanks for your help in that way! 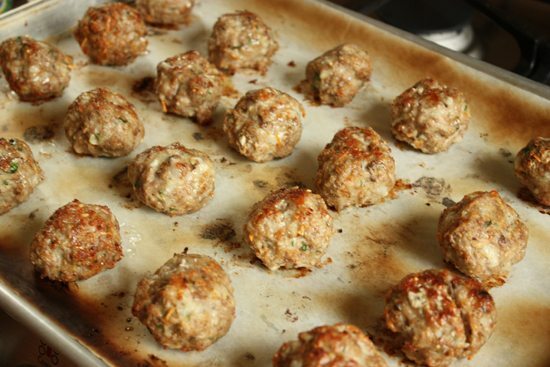 Can the Turkey Meatballs be frozen after they are cooked? Just curious. Sounds yummy. Thanks so much for these recipes. Can't wait to try them. I find it interesting that your meals include meat, while red meats are not clean at all, & actually quite bad for you! Woww , what an incredible change you've made on you're body ! I saw it's an old post but i need it to say congratulations ! You're post is very inspiring and helped me a lot . Also i bookmarked you're blog . Fragrances for Women.Orange Blossom, Creamy Amber, White Peony, Mandarin, Petalia, Fluffy Musk, Star Jasmine, Jacaranda Wood, Peach Nectar, Pink Iris. Did you nurse? My little girl is currently 5 months old is exclusively breast fed – I exclusively pump. I ask because I have been told it's a no no to calorie count if you want to keep up your supply. She also has sensitivities that limit my intake (no dairy, no eggs, no chocolate, no caffeine, no super citrusy fruit like pineapple). I have about 20 lbs to go to reach pre-pregnancy weight. I would be VERY happy with that alone, but would to continue to eat clean when I am able to add back those things like dairy. If you have any recommendations I would appreciate it! You look great! Way to go momma! Hello! Today I had been looking for some tips on how I could lose weight. I'm a bit over weight and my friends say I don't really look cool enough to be part of their group. That kind of upsets me a lot so I've been checking out some YouTube tutorials for workout routines and weight loss programs to get a flatter belly. I'd like to appreciate you for the effort you've made it really looks useful to me. Will try this soon. Love your blog and recipes…you look incredible!! 🙂 Keep it up! Time to try these out! Do you have any good clean-eating desserts recipes?